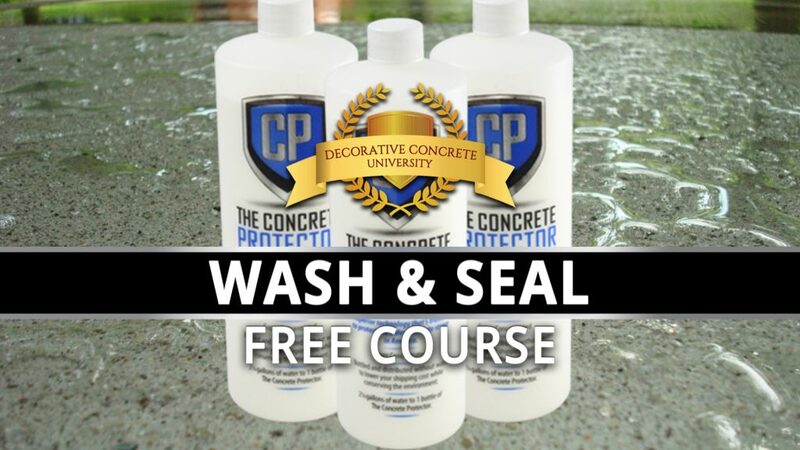 Learn how to effectively clean, seal and protect your concrete the right way! A few simple tools and inexpensive penetrating sealer from The Concrete Protector is all you need to seal your concrete and make it look good for years to come! This FREE and quick training course will walk you through step-by-step how to do it. Why is our sealer better? Unlike film-forming acrylic sealers, the penetrating sealer that we use is a reactive product that chemically alters the surface of the concrete (by glassifying it from within) creating a water-resistant membrane protecting the surface from water penetration that causes damage. At the same time, the appearance (color) and texture of the surface is not changed in any way like other sealers do. 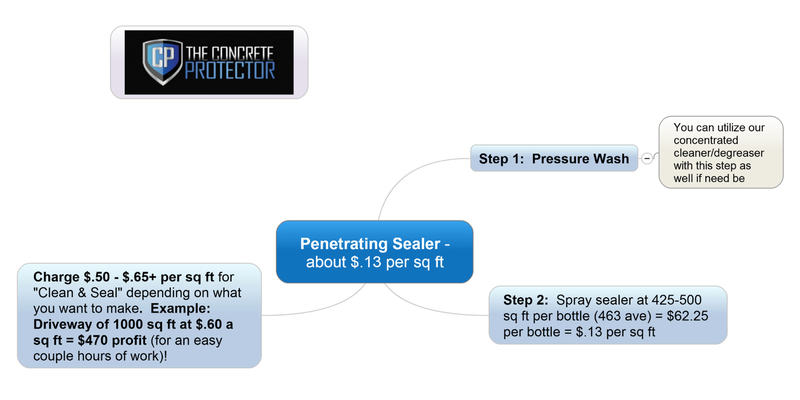 “The Concrete Protector” is the highest quality penetrating hydrophobic sealer on the market today. It is formulated, packaged and delivered with the environment in mind – each one-quart bottle of super concentrated “Concrete Protector” produces two and a half gallons of high-quality sealer for 425 – 500 sq ft of coverage. Wash your concrete and spray on! It’s that easy! VOC compliant with Federal and local VOC laws. Packed in concentrated quart sized bottles to save on shipping (why pay for shipping water?). 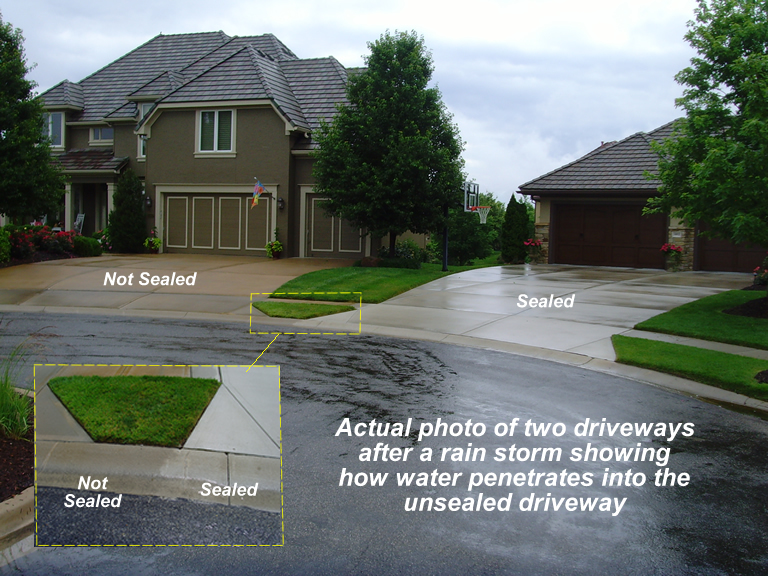 Whether you’re just interested in protecting your own concrete or you’re interested in generating great income by offering a wash and seal system, this is the system that you NEED to learn! High-demand, inexpensive to install and HIGHLY profitable! Enroll in this free and quick online training course today!